J.B. Pritzker sworn in as Illinois’ 43rd governor. On Monday, J.B. Pritzker and the rest of Illinois’ constitutional officers were sworn into office at an inaugural ceremony held in Springfield. Pritzker, the billionaire businessman and Hyatt hotel heir, became the 43rd governor of the State of Illinois. Lt. Governor Juliana Stratton, a former member of the Illinois House of Representatives, also took office following her own swearing in. After being sworn in, Governor Pritzker spoke about the challenges facing Illinois and his progressive agenda for the state. A lavish inaugural ball was held Monday night at the Illinois State Fairgrounds, headlined by Super Bowl halftime act Maroon 5. Unemployment rises slightly in December. The Illinois Department of Employment Security (IDES) numbers for December 2018, the final month of calendar year 2018, show a slight increase in the state’s unemployment rate from 4.2% to 4.3%. The increase appears to have been primarily caused by persons entering or re-entering the Illinois labor force. Total nonfarm payroll increased during the same period by 13,600 jobs. Illinois’ unemployment numbers continue to be better than they were at the same time one year ago. Economists look to year-over-figures as a way of smoothing out random statistical noise and seeing long-term trends. The Illinois unemployment rate was 4.9% in December 2017 and was 4.3%, down 0.6%, one year later. The total nonfarm payroll increased during the same period from 6.08 million jobs to 6.15 million, up 71,000 positions. During the past twelve months, the gap between the Illinois jobless rate and the U.S. nationwide unemployment rate has shrunk from 0.8% to 0.4%, indicating that Illinois is partially catching up with the national economy. Illinois taxpayers continue to be on hook for more than $7 billion in current debts. 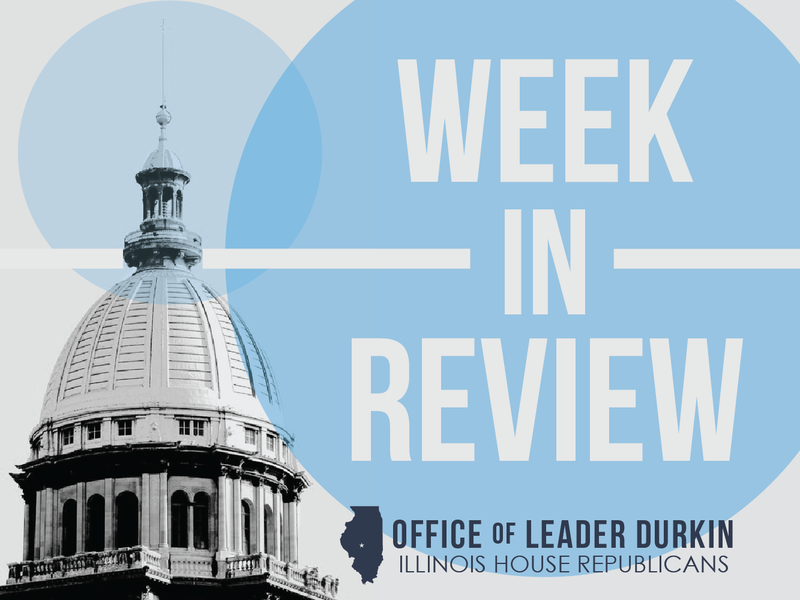 The mammoth number was published this week by the Office of the Illinois Comptroller, which is currently holding more than $6 billion in unpaid bills that have been presented to the State by legitimate creditors. In addition, the Comptroller’s office tries to monitor how many bills are sitting in state agency offices and not yet transmitted to the Comptroller for eventual payment. More than $1.0 billion in such bills are reported. 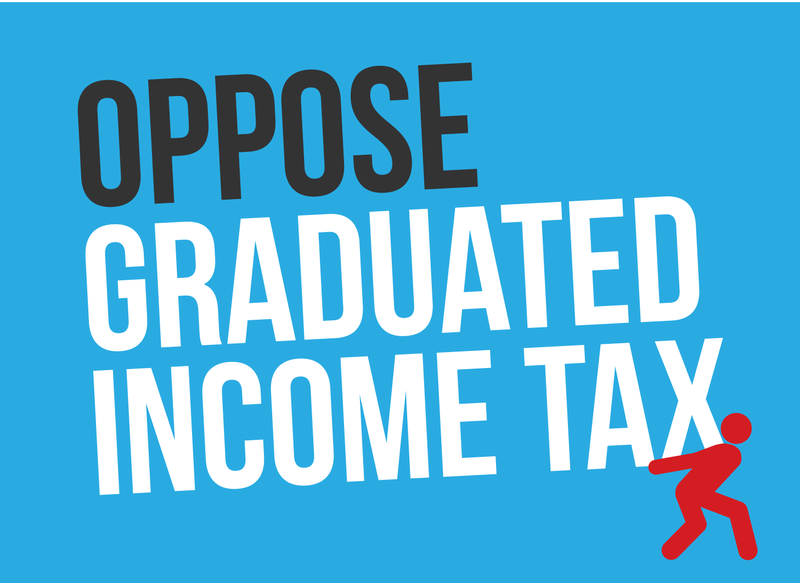 Illinois’s taxpayers are responsible not only for these bills, but for heavy interest payments. The Prompt Payment Act requires Illinois to pay interest on unpaid bills. 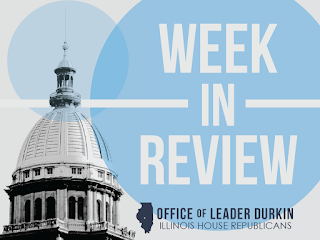 The Office of the Comptroller reported this week that their estimate of the Illinois general funds bill backlog was $7.467 billion. This leaves out even larger quantities of off-the-books State debts, especially the unfunded liabilities borne by State-managed pension funds. These unfunded liabilities can be estimated at different amounts depending on projections of future interest rate returns on pension assets in these funds, but each liability estimate generates a figure well above $100 billion. Based on the ratio of debts to citizen incomes, Illinois’ public-sector debt burden is one of the highest among the 50 states of the U.S. Teen birth rates decline in Illinois. A statistical analysis of birth certificates filed in Illinois, which include the name and identification information for each mother, indicates a continuing and relatively significant decline in the number of babies born to teenage mothers. In 2016, the most recent year for which these numbers have been compiled, the rate of teenage childbearingwas 18.7 births per 1,000 teenage girls and young women aged 15 to 19. This reflected a decline of 9.1% per year from the same numbers calculated two years earlier in 2014. Much of the decline was attributed to falling teenage birth rates in the city of Chicago. The Chicago teen birth rate, although it remains significantly higher than the rate for the state as a whole, is falling much faster. 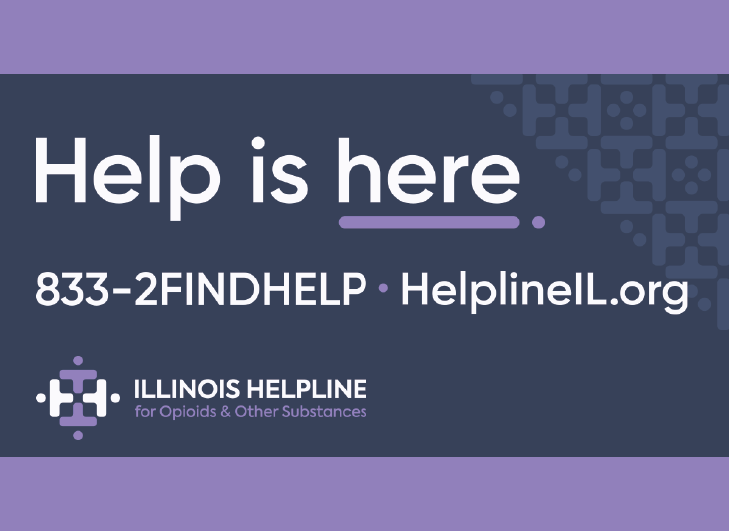 The statistics are calculated, both for Illinois counties and on a statewide basis, by the Illinois Department of Public Health, which has access to the birth certificates filed in each county of the state. Illinois winter road conditions. The Illinois Department of Transportation portal page “Getting Around Illinois” contains links to webpages that describe Illinois winter road conditions, current travel information, and road construction notices and updates. As of mid-January 2019, wide sections of Illinois have already seen snowfalls of more than twelve inches. Under the Illinois “Rules of the Road,” maintenance vehicles when completely stopped have the same right to be avoided as do law enforcement vehicles. If a driver sees a completely stopped snowplow, the motorists should yield a lane if possible, or reduce speed and proceed with caution. Several months ago, a constituent contacted Rep. Norine Hammond after her husband appeared to slip through the cracks of the existing law. Hammond’s bill passed the House 105-0 in April. In the Senate, it was sponsored by Sen. Jil Tracy, and it once again passed unanimously, 54-0. Governor Bruce Rauner signed the legislation into law on August 13, and it was among the laws taking effect on January 1. During the night of January 20-21, the moon will be eclipsed over Illinois. The total lunar eclipse will mark a several-hour-long-period when the moon will orbit directly into the Earth’s shadow. There will be about one hour of “totality” when the Moon will be completely in shadow. Sunset light, leaking from the circle seen as the “horizon,” will trickle around the edge of our planet and illuminate the Moon into a glowing red color. The relatively rare phenomenon will be experienced by people living in the Western Hemisphere. Most of the people who live in the Eastern Hemisphere will see only a partial eclipse, and in the world’s two most populated countries – China and India – no eclipse will be visible at all. The time of the eclipse, in Asia, will come during the Monday, January 21 daylight hours. By contrast, in Chicago the total eclipse will begin at 10:41 p.m. Sunday night and will end at 11:43 p.m, just before midnight. Other Illinois localities will see this phenomenon at slightly different times.